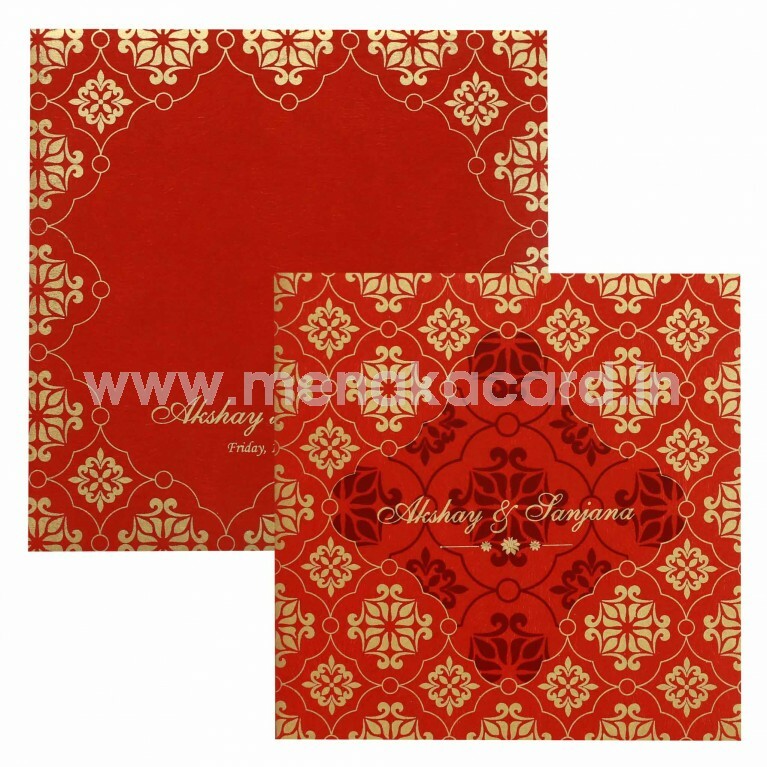 This is a modern kolam/ mandala design card with a book folding made from a right red printed texture artboard. 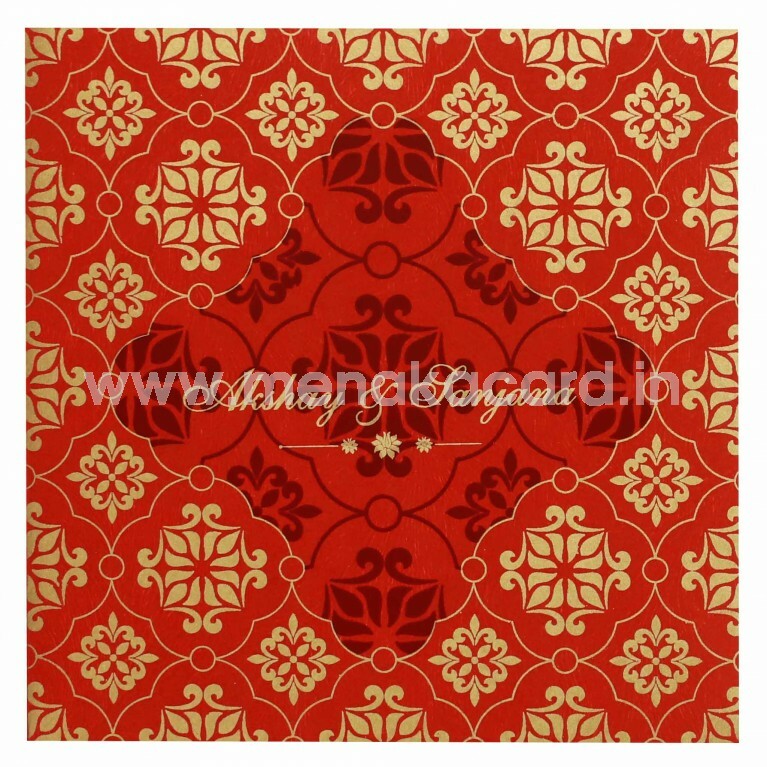 The front flap of this card has a main kolam design at the centre printed in deep maroon surrounded by an array of rich gold ink kolams around it. 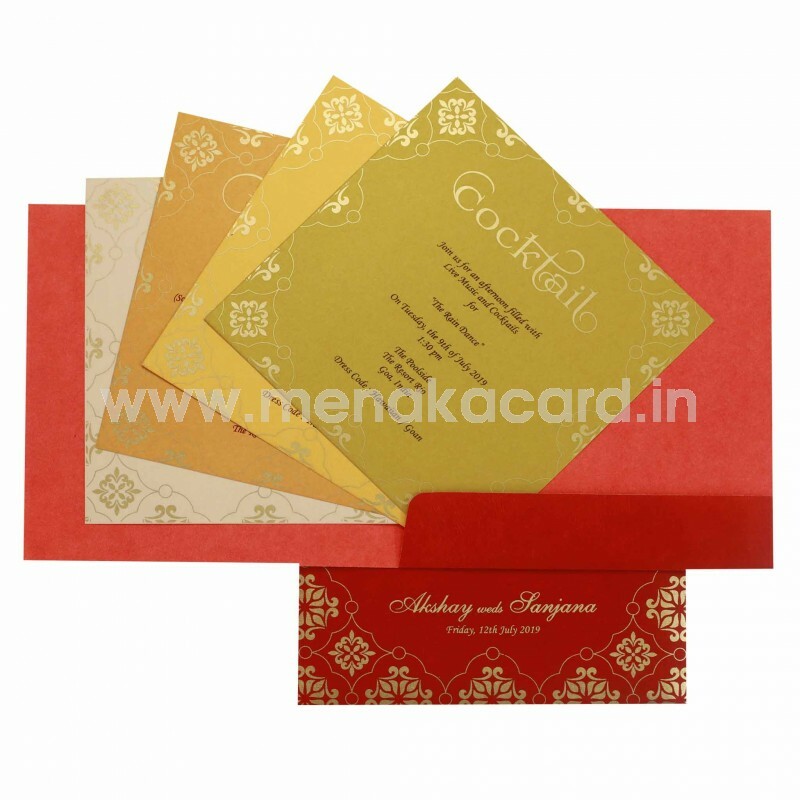 The inserts of the card sit inside a solid flap and can be made in cream, yellow, orange or green with contrasting ink as desired. This can be used for Hindu weddings, upanyayanam, grahapravesham etc.